The Fourth of July is this week and with it comes the traditional opening of the picnic season. Enjoying food in the great outdoors is a sublime pursuit indeed. We're unshackled from the indoor stove and free to grill, depending on your budget, everything from gourmet steaks to road kill discoveries. I don't know a lot about food, but I do know I look forward to summer fare. I do know, however, that sitting under a tree and opening peanuts in the shell is best done in the summer because you can toss the shells on the ground and since you're outdoors your mate doesn't feel the need to vacuum you afterwards. I also know that there's nothing quite as refreshing in the summer as a big slug of made-in-Detroit Faygo Red Pop. We Michiganders know that “red” is both a color and a flavor. This staggering amount leads us to the great hot dog conundrum that has vexed mankind since the beginning of dogdom. Why are there typically 10 hot dogs per pack and eight buns per bag? I always thought the answer was obvious. It's so you can chop up those extra two dogs and put them in other dishes, like adding zip to a can of SpaghettiOs or livening up a fruit salad. I was wrong. The Council tells us: “When manufacturers began packaging hot dogs, they chose the 10 to the pack formula. Sandwich rolls, or hot dog buns, most often come eight to the pack because the buns are baked in clusters of four in pans designed to hold eight rolls.” The hot dog makers and the bakers have never gotten together to resolve this disparity. 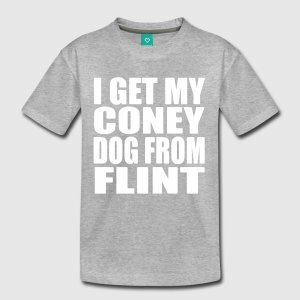 This fact directs us to an ongoing debate in Michigan because there are two distinct styles of the Michigan Coney – the Detroit Coney and the Flint Coney. There is a big difference and each style has its proponents. So, with all this earth shattering information in hand, enjoy your Fourth of July holiday. 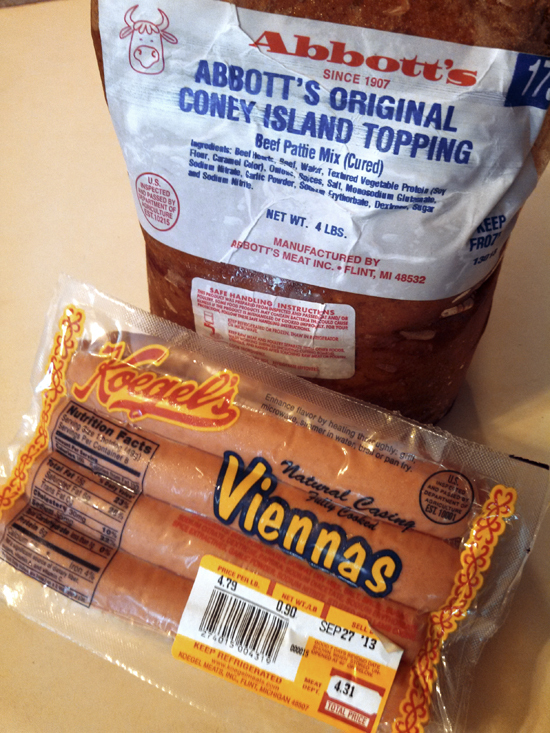 I'll be having peanuts in the shell for my hors d'oeuvre, followed by a grilled (made in Flint) Koegel's Vienna on a locally-baked bun, with some Better Made potato chips (made in Detroit for 85 years), washed down with a frosty Faygo Red Pop (from Detroit). You can't get more Michigan than that. 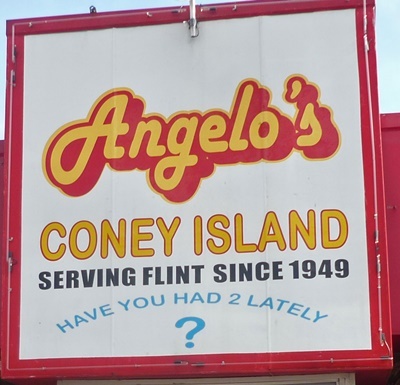 I grew up in Flint, so for me the ultimate Flint Coney Dog is from Angelo's.